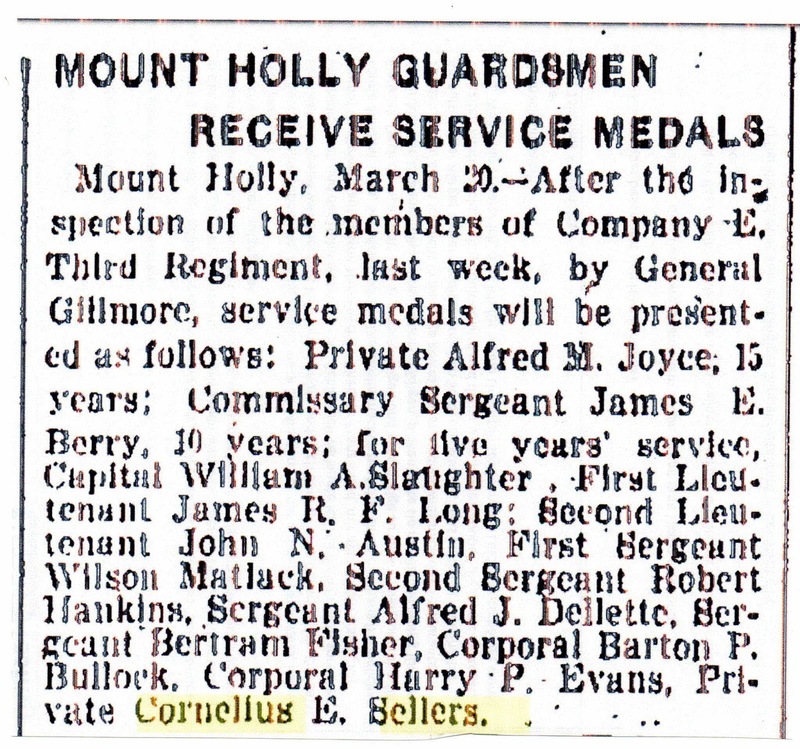 Today, September 14, 2018, is the 100th anniversary of the death of Cornelius Elmer Sellers, my great-grandfather. None of his grandchildren knew him, because he died well before any of them was born. This is some of the information I have learned about him through my research, none of which my family knew previously. Elmer, as he was known, was born November 7, 1874 in Philadelphia, Pennsylvania, the son of Cornelius Godshalk Sellers and Catherine Fox Owen. His father died when he was 3 years old, and his mother remarried in 1882 in Mount Holly, New Jersey, to George W. Moore. The family appears to have stayed in the Mount Holly area from that point on. Cornelius and Catherine Sellers had three children who died young, and George and Catherine Moore had at least two children, only one of whom survived to adulthood. Elmer's surviving sibling was Howard Evans Moore. 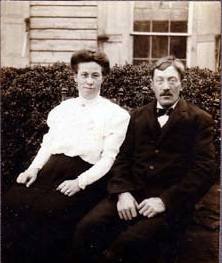 On November 7, 1903, Elmer married Laura May Armstrong and accepted her 7-month-old son, my grandfather Bertram Lynn Armstrong, and raised him as his own. They went on to have eight additional children I have documented, three of whom lived to become adults. Elmer was in the New Jersey National Guard. 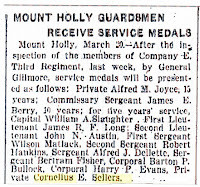 In 1905, he received a service medal for five years' service, which was reported in the Trenton Times of March 20. After five years, he was still only a private. 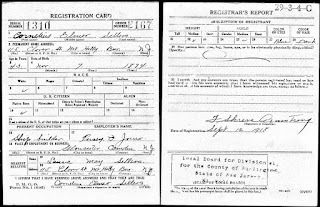 Elmer registered for the World War I draft on September 2, 1918, only two days before he passed away. 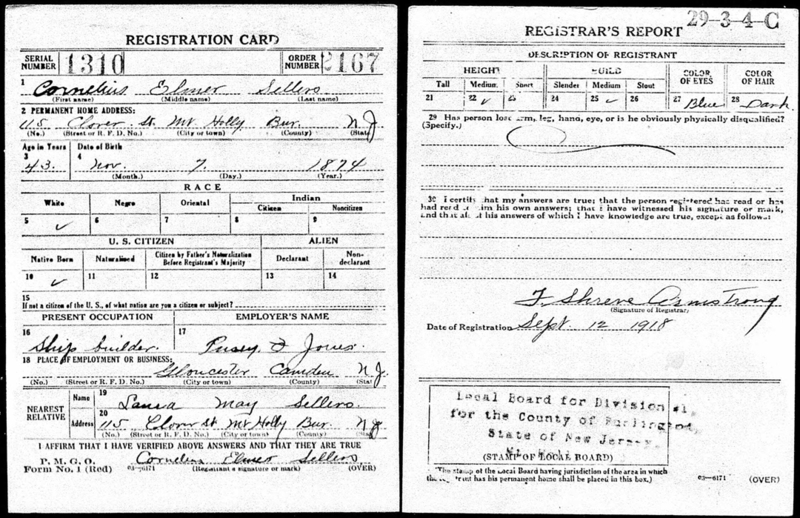 Elmer's occupation was listed as plumber on his 1903 marriage record, farmer in the 1915 New Jersey state census, and ship builder on his 1918 draft registration, but I have been told that the family was always poor and never really had any money. When Elmer died, however, the funeral home costs were more than $100. It took me a while to figure out where the money had come from — Elmer's mother had paid for the expenses. She outlived him by five years.